The Beloved comparing Solomon to a cluster of henna blossoms is described in Song of Solomon Chapter 1. Throughout this beautiful love poem, the Beloved appeared to be Solomon’s equal. Although Solomon declared his love and admiration for her, the poem seemed her love story more than his. The Beloved spoke first. Of the 117 verses in the Song, 55 were definitely spoken by the Beloved and she was possibly the speaker of another 19 verses. The Beloved proclaimed the overwhelming power of love, e.g., love rivals death, burns with intensity, is precious, and it cannot be purchased. God’s intention is that intense love be a part of the marital relationship. The Beloved described almost every aspect of her Lover, e.g., his appearance, odor, and grace. Often she compared him to plants, e.g., he was like a sachet of myrrh resting between her breasts (1:13), his fruit is sweet to my taste (2:3), his cheeks are like beds of spice and his lips were like lilies (5:13). In verse 1:14, she described Solomon as a cluster of henna blossoms from the vineyards of En Gedi. Thirty miles south of Jerusalem, En Gedi was one of two fresh water springs on the western shore of the Dead ) Sea. En Gedi’s year around temperate climate and available water made it well known as an agriculture center. When the Beloved described her lover as a cluster of henna blossoms, she averred that he was beautiful and smelled good. Henna blossoms contain an essential oil used to make perfume. Although not mentioned in Song of Songs, henna is best known as a cosmetic used to enhance beauty. For the past 6000 year, henna has been used to stain or dye hands, feet, nails and hair. In ancient times Egyptian women in particular used henna as a cosmetic. Moses’ requirement that female war captives shave their heads and trim their nails prior to marrying an Israelite man probably was to remove all henna beauty-enhancements from the woman (Deuteronomy 21:11-14). The henna plant in Song of Solomon was the Lawsonia inermis L, also known as the Lawsonia alba. The Latin word inermis means unarmed or without spines. In the King James Bible henna is called “camphire.”. Probably henna was native to Iran from where it spread throughout the Middle East. Henna grows mainly along water courses and in semi-arid regions. When the henna plant is five years old, it begins to flower and reaches its peak between 6–12 years. Henna plants have been known to produce for as long as 25 years. The plant will grow in containers as long as it is well watered and repotted as needed. Henna is a perennial shrub or small tree that grows 6–23 feet tall. Hair, skin and nail dyes are made from dried, crushed leaves and young shoots; the active pigment is lawsone. 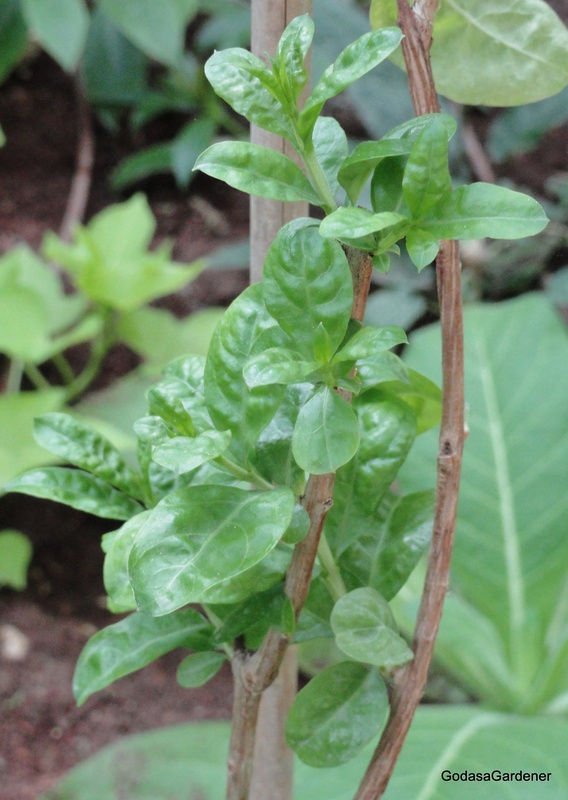 In Old Testament times, the henna plant was known for its beautiful flowers and intriguing smell. Fragrant flowers are used as a perfume; the main flower oil is beta-ionone. Henna has been associated with the rites of womanhood, representing fortune, seduction and beauty; also henna symbolizes prosperity, fertility, and happiness. In Song of Songs, henna symbolized the beauty that the Beloved saw in Solomon. Frequently the Bible, poets, and today’s mass media associate beauty with the physical attributes of women. I am going to look at beauty from a different point of view – that of how a woman evaluates her husband as beautiful. A woman sees a man as beautiful if he gives pleasure to her senses, her mind, and her spirit. He is beautiful whenever he excites her keenest pleasure and stirs her emotions through her senses. It is good for a wife to be stirred emotionally by her husband’s physical appearance — the shape of his face, a dimple in his cheek, the wave of his hair, his broad shoulders, his trim waist, and muscular thighs. At the same time, these male characteristics may not last, e.g., men age, experience illness or accident, go bald, or decide to grow a beard. A woman whose senses are not stimulated by other than her husband’s physical characteristics may have difficulty viewing her husband as beautiful over the many years of a marriage. When woman list characteristics desirable in a prospective husband, they rarely list spiritual beauty. Many women do not evaluate whether or not a prospective husband will fill the role of spiritual head of the family. Yet, a spiritual husband gives keen pleasure to a woman. She admires, respects, and honors him, all of which stimulate her emotions and allow her to see him as beautiful. When I married Bruce, he was a redeemed Christian who was beginning an intentional walk with Christ. Over the past 20 years, I experienced mental and spiritual pleasure watching him emerge as the spiritual head of our home. He is a beautiful Christian man and husband. Christ directed us to look on the inside not on the outside for beauty in men. He called the Pharisees “hypocrites” because they were like whitewashed tombs (Matthew 23:27-28). They look beautiful on the outside with their elaborate robes and righteous words, but on the inside they were unclean and wicked. Christ cared deeply about what was on the inside of men. Sometimes, I wonder if the Beloved really saw Solomon. Did she look at his character sufficiently or was she deluded by his beauty and kingship? Nothing in her exuberant descriptions suggested that the Beloved anticipated she would be one of 700 wives and 300 concubines (1 Kings 11:3). Reflection. What do you consider beautiful about your husband? When did you last give him flowers? This entry was posted in Plants in Solomon's Life and tagged beauty, Bible, Bible Garden, Bible Plants, Bible Study, Christian walk, christianity, Garden, Gardener, God, God as a Gardener, henna, Israelites, King Solomon, Lawsonia inermis, nature, Old Testament, Plant Symbolism: Beauty, plants, Song of Solomon, Song of Songs, spirituality. Bookmark the permalink. Yes. Inner beauty is key. Amen Trina, “For my beloved is mine and I am His.” I also enjoyed this post and wanted to add a portion from a footnote taken from my Bible. “In the romance between the great King Solomon and the girl from the countryside, because the two did not match each other, the king became a ‘country man’ in order to go to her village to court her, to gain her love. On the one hand, he made himself the same as the country girl; on the other hand, he made the country girl a queen.” As we go through this book which is a history of love in an excellent marriage, it is a type of the story of God’s romance with man. We must be like the countrygirl, the Shulammite (vs. 2) and let Him kiss us every day, for this is the most intimate expression of His love for those who believe into Him. I live in Israel and have seen this beautiful sight of the henna flowers in the vineyards of En-gedi. We must tell Him how beautiful He is to us over and over again. (1:15,16). Just as the King became a country boy, God became man – Jesus, and just as the King made the countrygirl His queen, we are in the process of transformation, to be conformed into the Bride for our King Jesus. What a sweet, comforting word. this was beautiful I thank God for it really inspired me and seeing more of the beauty of God like the beloved saw in Solomon. For my beloved is mine and I am His.